The CopyCat: A Hit At Kublacon 2016! Joseph and I just got back from Kublacon Game Convention 2016 in Burlingame, CA this past weekend! We debuted our game at the Fun Friday Flea Market, hosted several demo sessions throughout the convention, and wrapped up the hype at the Monster Monday Flea Market. 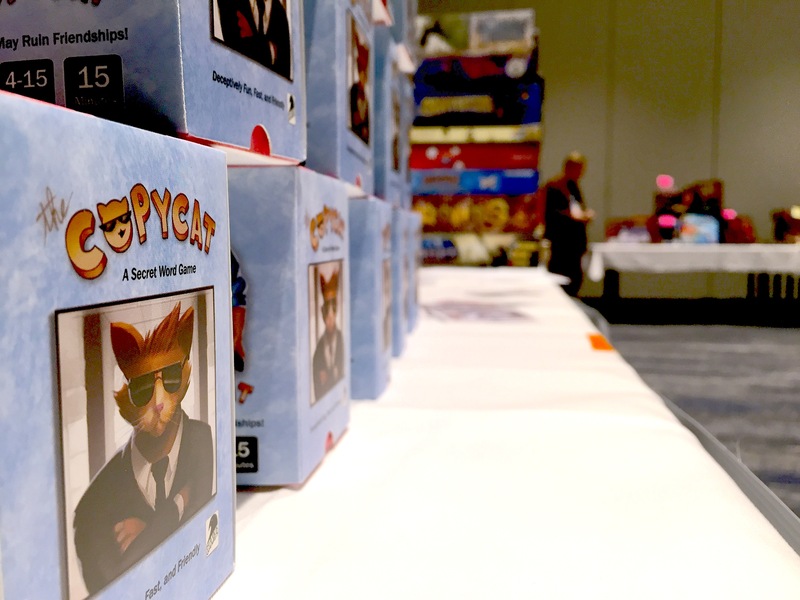 Participants loved The CopyCat, and several took home our Limited First Edition to play. When we were walking around the convention, we’d also see people who bought our First Edition casually playing with friends. The positive feedback, new friends, and energetic support from this weekend have given us the perfect motivation to boost our Kickstarter launch! Please support us on Kickstarter, and share our page with your family, friends – anyone who might be interested! Next Article Next Article: The CopyCat Now On Kickstarter!